c’est La fin d’un long combat pour le collectif des Riverains du Gouttet de Tassin-la-demi-Lune. antennes relais camouflées de Tassin-la-Demi-Lune. le 6 mars 2009 à la première heure, . . . nos correspondants étaient présents. camouflaged relay antennas in Tassin-la-Demi-Lune. in the early morning of 6 March 2009 . . . our reporters were there. 6 mars 2009 (photo de droite), sans les antennes relais (matérialisées en rouge), il ne reste en place que les supports (tubes). 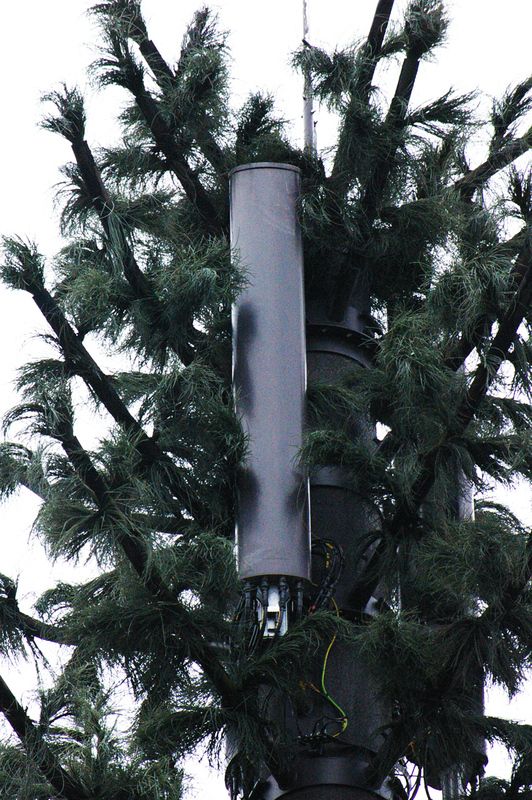 The artificial tree used as a Bouygues Telecom phone mast in Tassin-la-Demi-Lune, complete with camouflaged relay antennas (left). 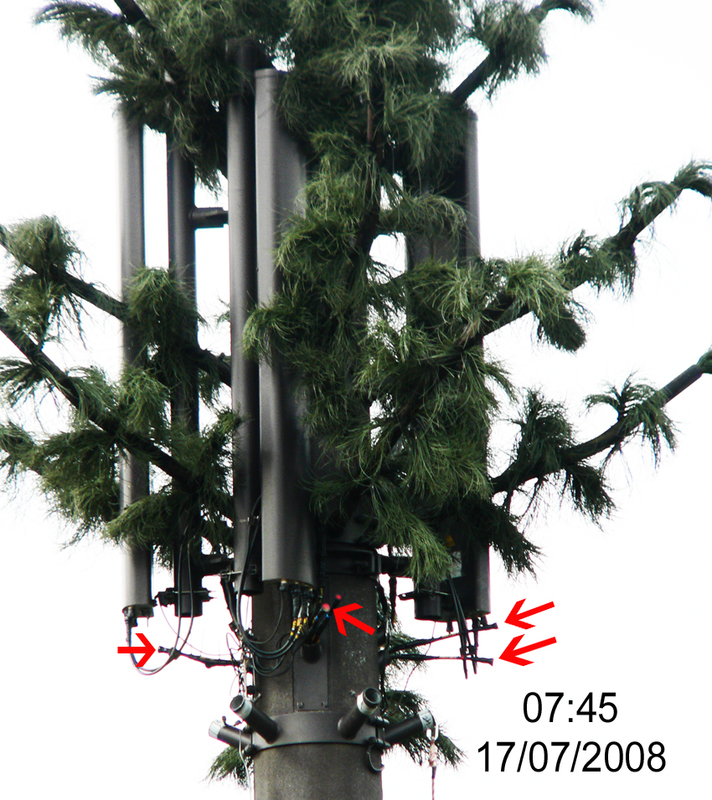 After 07h45 6 March 2009 (right) - the antennas have gone (the red stripes), and only the supports (the vertical tubes) are left. que le réseau de téléphonie mobile Bouygues Telecom fonctionne parfaitement. station de base de Bouygues Telecom en cours de démantèlement suites aux jugements, sont des désinformateurs. que toute installation supplémentaire d’antenne relais de TM est totalement superflue. n'a besoin que de quelques centièmes de V/m d'irradiation pour fonctionner correctement. (Des mesures de CEM HF seront réalisées dès que possible sur la zone). c'est une démarche de business que les sociétés commerciales de téléphonie mobile veulent imposer à la population. the signal is not affected! 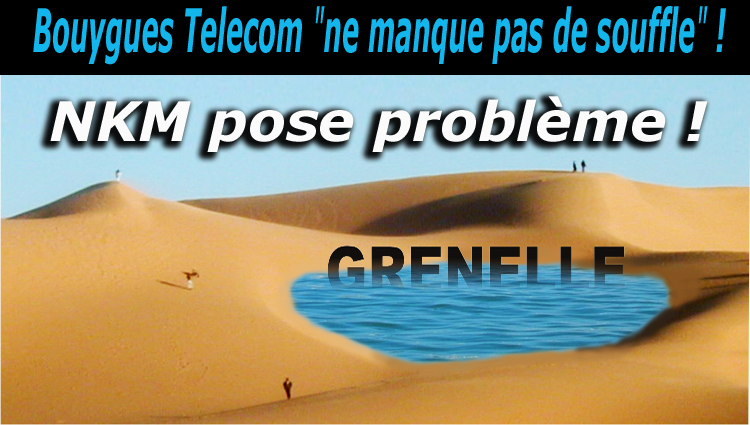 it is clear that the mobile phone network in Tassin-la-Demi-Lune is working perfectly well. 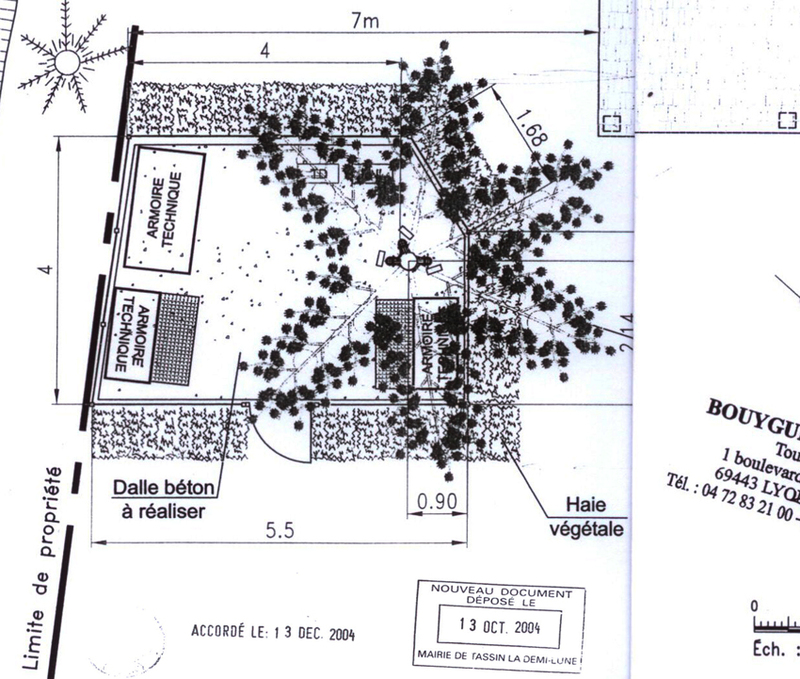 of the Bouygues base station that is being dismantled, as ordered by the courts, have been spreading disinformation. that adding any more of them is completely unnecessary. only a few hundredths of a volt per metre to work properly. this is a money-making scheme that the phone companies want to impose on the public. Antennes relais camouflées Bouygues Telecom , le 6 mars 2009 07h45 seuls restent en place les supports. 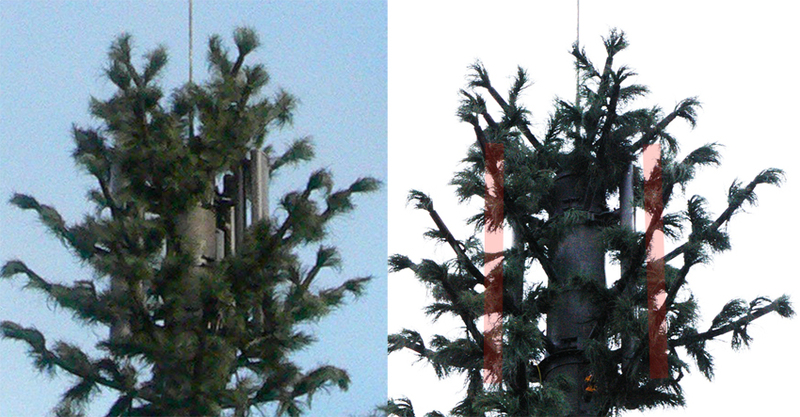 Zoom: antennes relais, les câbles déconnectés des 2X2 voies montantes descendantes GSM et UMTS (Visiophonie). Antennes relais camouflées Bouygues Telecom, le 6 mars 2009 07h45, . . . il fallait faire vite !. The Bouygues Telecom phone mast, 6 March 2009 . . . someone was in a hurry! Bouygues Telecom BST antennes relais camouflées Tassin-la-Demi-Lune intervention travaux juillet 2008. - les antennes relais sont raccordées seulement avec une voie montante et une voie descendante en GSM 900 MHz (1x1voie). - les câbles HF de l’UMTS installés en attente (embouts rouges), mais ne sont pas encore raccordés aux sorties et entrées des AR. 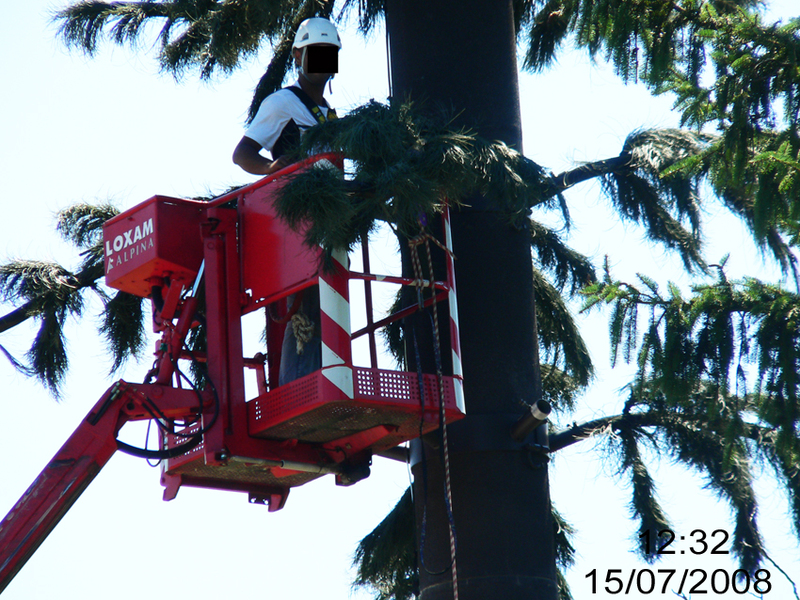 Bouygues Telecom BST: work done July 2008. - the relay antennas are connected with only one ascending circuit and one descending circuit in GSM 900 MHz (1x1 circuit). - the HF cables for the UMTS are installed in readiness (red tips) but not yet connected to the RA exits and entries. Février 2009 : Bouygues Telecom BST antennes relais camouflées Tassin-la-Demi-Lune. 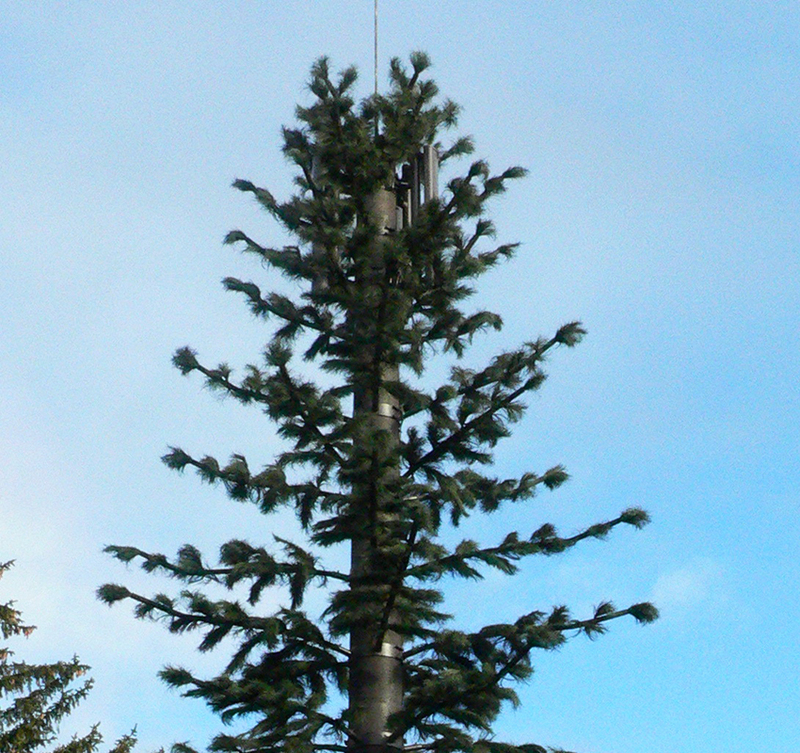 - les antennes relais sont raccordées en voies montantes et voies descendantes en GSM et UMTS (2x2voies). with the ascending and descending circuits for GSM and UMTS (2x2 circuits). sont raccordées en voies montantes et voies descendantes en GSM et UMTS (2x2voies numérotées de 1 à 4). with the ascending and descending circuits for GSM and UMTS (2x2 circuits numbered 1-4). 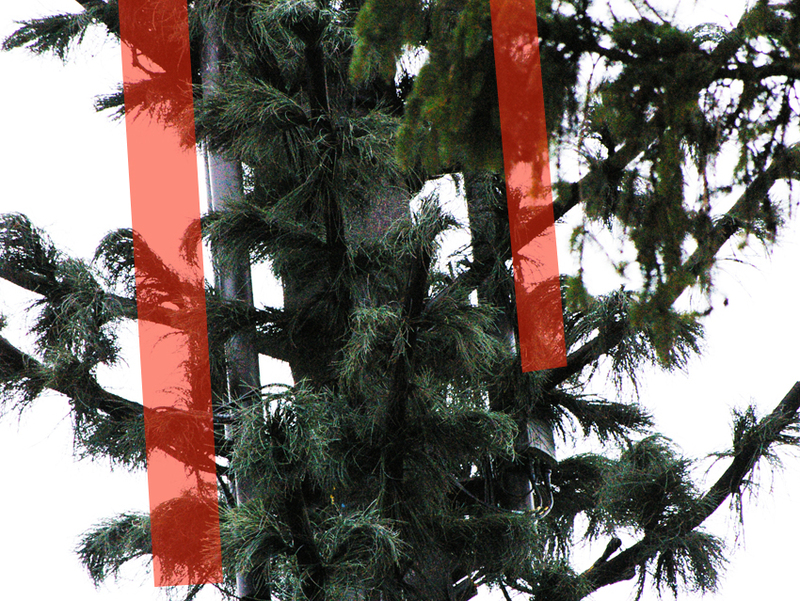 Residents living next to a phone mast vs.
de telefonía son un peligro para la salud". pour la santé enfin reconnu!" eine Antenne im Namen des Vorsorgeprinzips abzubauen. The Government and the phone masts: "An unforeseen crisis"
The two recent court judgments that compel the mobile phone companies to take down existing phone masts have set off a real shock wave, invisible like the waves but very real in the microcosm of the pro-mobile establishment. Since apparently nobody saw it coming, the surprise looks more like panic, judging by the comments made this Wednesday by Martin Bouygues, head of Bouygues Telecom, who exclaimed: "The government has got to make a choice: do they want us to go on using mobile phones or not?" It seems that the regulations issued by the WHO and by their in-house fixer Repacholi are also beginning to come apart at the seams, and that the whole system set up to present these network-friendly standards as adequate is crumbling in the face of the evidence. So it's the Prime Minister who has donned the fireman's helmet in order to deal with the emergency and with the public's anxiety about the hazards of relay antennas, and has sent a letter to the Minister of Health with instructions to organize a "citizens' forum" (round table) as soon as possible. However he makes its limits clear: "to make a distinction between mobile telephones and relay antennas". 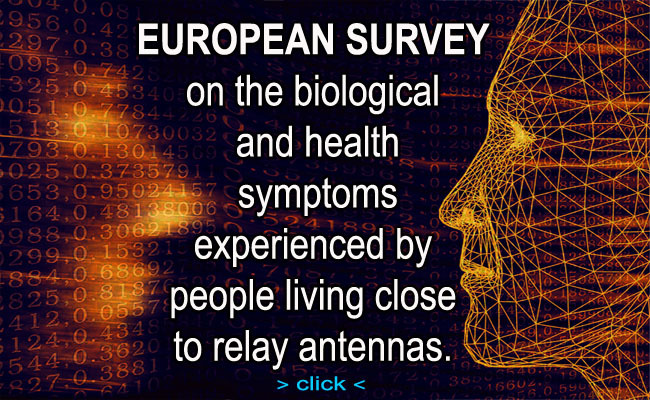 Even more explicitly, on the health effects of radiation from relay antennas he declares: "the hypothesis of a health hazard for people living near mobile phone antennas cannot be upheld" in the present state of knowledge and "considering the low levels of exposure around these installations". He adds: "A precautionary approach seems justified" regarding the use of mobiles phones, even though "the expert opinions currently available do not make it possible to reach a definite conclusion on the potential link between the use of a mobile phone and the risk of cancer." In the light of all this it's hard to see how this "citizens' forum" (round table) will be able to "deal with all the issues head-on" as promised, with such a narrow margin of manoeuvre for the Ministers concerned, Mmes Roselyne Bachelot-Narquint, Chantale Jouanno et Nathalie Kosciusko-Morizet. 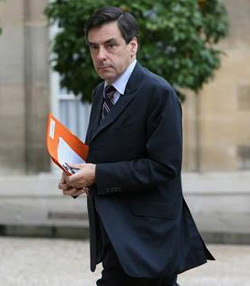 The TV news programmes have carried reports from the Elysée palace, seat of the Presidency of the Republic, where at the end of today's meeting of the Council of Ministers, the Ministers made a point of defending the mobile phone operators and announced the upcoming "round table" meeting which, in the face of publicly expressed anxiety on the subject, will focus on the health problems resulting from the microwave radiation generated by phone masts and by mobile phones themselves. 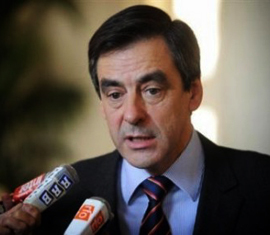 The Prime Minister François Fillon declared in support of his Ministers: "In the present state of scientific knowledge the hypothesis of a health hazard cannot be upheld." For their part the mobile phone companies, who have signed a commitment to provide coverage of the whole country, are asking the government to take a clear stand. 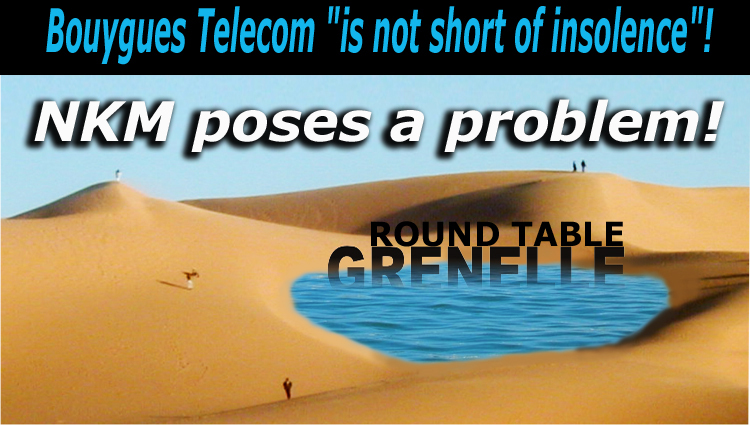 Bouygues Telecom "is not short of insolence"
the "round table": NKM poses a problem! "Every morning the first thing we do here at Bouygues Telecom is read the Next-up news of the day." 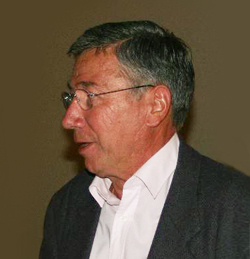 We can therefore assume that the staff of Bouygues Telecom are fully aware of the current problems over relay antennas, and that in fact with the upcoming "relay antenna round table" it should be at the centre of their concerns: not, as some might think, so they can reduce the artificial microwave radiation of the public, but so they can set about getting permission to irradiate them even more. 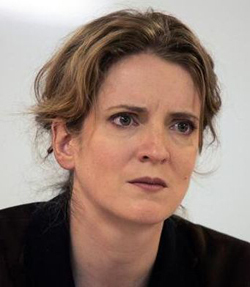 Not long ago Nathalie Kosciusko-Morizet (NKM) was appointed Secretary of State in charge of the development of the digital economy, replacing Eric Besson, who did not have "the right background" for dealing with the growing controversy over the increased intensity of radiation (Fr) required in particular for the Visiophone system. 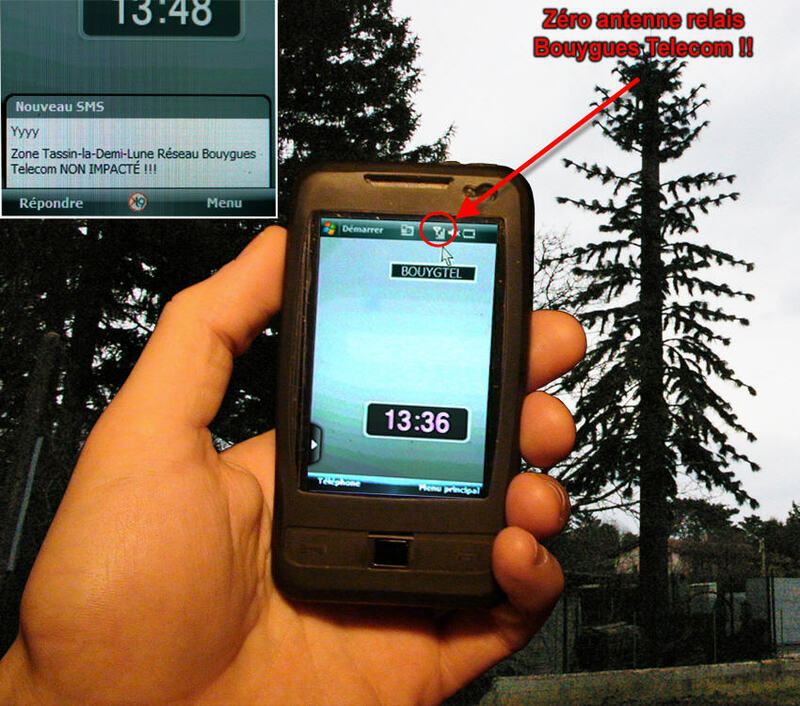 The term "mobile telephone" employed by NKM does not represent the truth, because what is being proposed is actually a private commercial operation to introduce the Mobile Visiophone (VM), also called Personal Mobile Television (TMP), using UMTS frequencies of 3G, 3.5G or 4G, which is a totally different matter. On top of that, the energy demands causing environmental pollution from artificial hyper-frequency microwave radiation will be increased by a phenomenal amount! NKM says that she envisages as a possible way forward the sharing of relay antennas, that's to say that several networks would make use of the same phone masts. The point of this is "visual concealment" from the public of the increase in carrier frequencies and the number of new antennas, notably with the arrival of a fourth network. In fact this "round table" is no more than a mirage, since even if the proposed sharing of phone masts is agreed (which is far from likely) and the current number of masts is reduced, the Minister is apparently willing to let the networks add whatever antennas they wish to the remaining masts. Thus their operating frequencies would be multiplied many times over, while the public is fooled into thinking that the radiation hazards from them are being reduced. Consequently, it is clear that the health situation will only get worse. 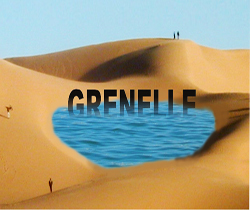 So what needs to be organised urgently is not a "relay antenna round table" (Grenelle) with people whose sole aim is to launch a commercial operation that will let them increase the radiation of the public even more, but a "round table" of responsible people focused on ways to make this technology compatible with human health and the environment. If NKM's attitude is causing a problem in the present situation, we have to say, considering her previous track record, that her actions to date and her fine words that achieve nothing are completely inadequate in the face of the catastrophic health scenario that is unfolding. 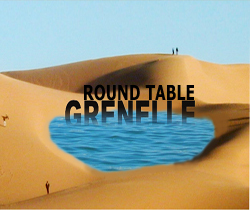 The "round table on mobile telephony" will change nothing. Moreover it is highly probable that NKM and all the other players will soon be faced by the reality of sentences passed not by the civil courts but by the criminal courts. Thanks to donations that are coming in we shall soon be bringing cases to court based on health evidence, in order to find out the truth. We hope that this "salutary electric shock" will come about as soon as possible. Ministers are obliged by the responsibilities of their office to do certain things. 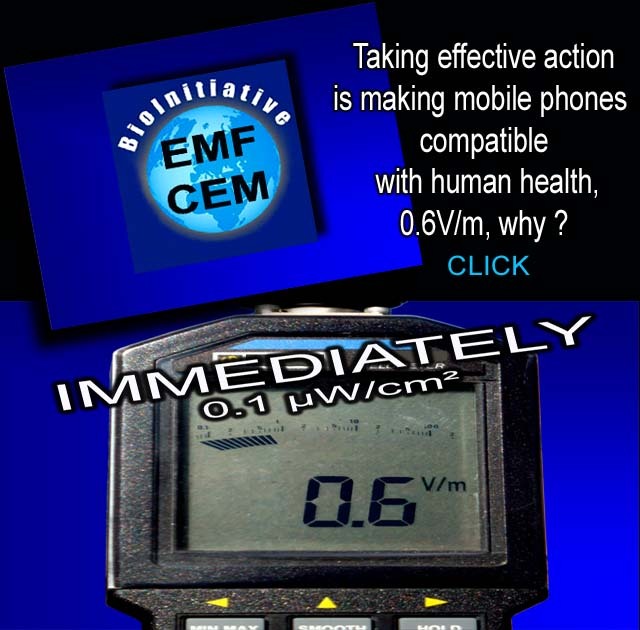 Have any of them ever thought of finding out (via independent experts) whether continuous irradiation of 10,000,000 µW/m² in the Visiophone UMTS 3G microwave frequency (the famous statutory limit of 61V/m set by the decree 2002-775), is compatible with human health? Nowadays we are realising that more and more people are becoming EHS and "dropping out". The public are beginning to discover the disastrously damaging effects of artificial microwave radiation, and the hidden truth of this new kind of environmental pollution is finally being revealed in broad daylight! Bouygues Telecom "not short of insolence"
The red thread of the policy that aims first and foremost to make a profit can be traced through all levels of decision-making on the issue of mobile telephony, thus it is not surprising to see that nothing gets in the way of a phone company's determination to expand, even when it is confronted by the law and by very real consequences. 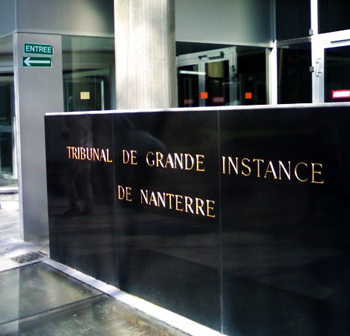 Bouygues Telecom was summoned to a hearing before the Tribunal de Grande Instance (District Court) in Nanterre, which took place on 4 June 2008. 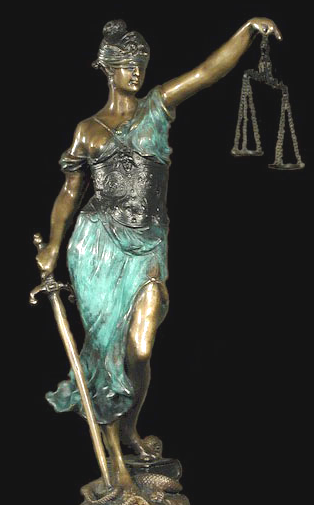 After due consideration the Court's judgement was pronounced on 18 September 2008. 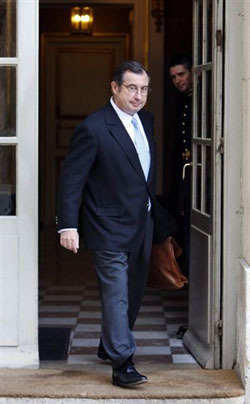 Bouygues Telecom appealed and the hearing took place on 7 January 2009 before the Appeal Court in Versailles. Eventually the final judgement was announced by said Court in their decree No. 68 of 4 February 2009. 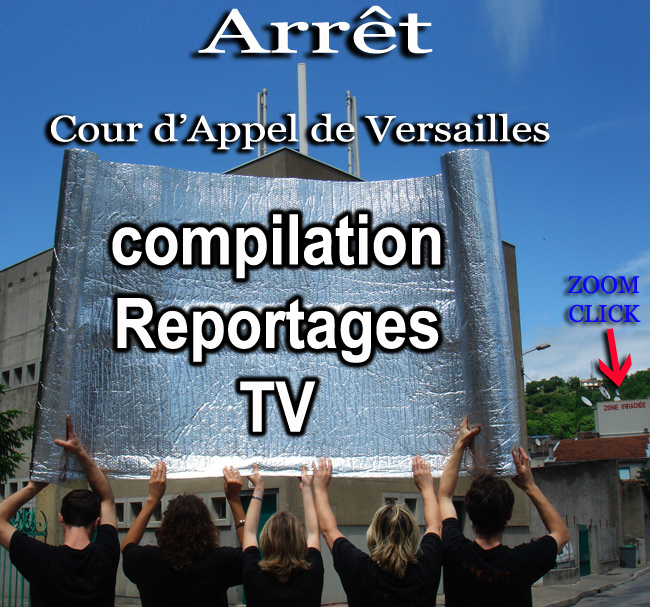 What was seen to be happening during this period to the base station (BST) and relay antennas belonging to Bouygues Telecom, the defendant in the aforesaid hearings in the local court and on appeal? While the TGI of Nanterre were considering the sentence, during the second half of July 2008 to be precise, Bouygues Telecom carried out some significant changes to the base station by adding 3 UMTS (3G) frequencies to the existing 2 GSM 900 MHz frequencies. This work considerably increased the carrying capacities of the BST, in fact more than doubled them. 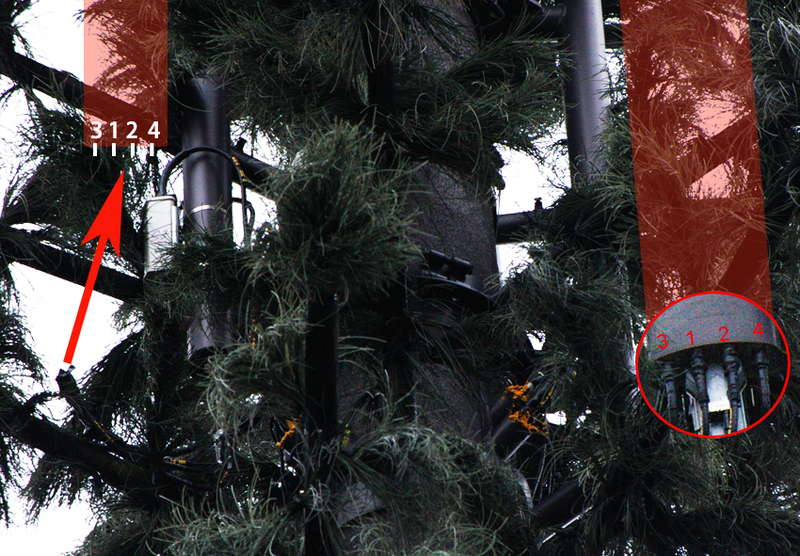 We did not take any measurements to check whether the UMTS frequencies were activated. Even though this is not in itself illegal, since Bouygues Telecom had the necessary permits in 08/08/2008, nevertheless by doing this the phone company showed the world that it is "not short of insolence"! This story reveals a great deal, and even if the UMTS connections were not activated (which remains to be proved), it is entirely justifiable to see it as a total lack of respect for the legal procedures (the consideration of the sentence) going on during the period in question. It all goes to show that nothing stands in the way of the determination to impose more and more artificial microwave radiation on the public in order to meet the demands of a money-making enterprise. Gouvernement et Antennes relais : "La crise inattendue". Les deux derniers jugements qui contraignent les opérateurs de téléphonie mobile à démanteler des sites d’antennes relais ont généré une véritable onde de choc, invisible comme les ondes, mais bien réelle dans le microcosme de l’establishment des businessmans pro-mobiles. "Le gouvernement doit faire un choix : est-ce qu'il souhaite qu'on continue à utiliser la téléphonie mobile ou pas?". Ces mots sont-ils exagérés ? Pas si sûr, si Martin Bouygues est un visionnaire, il doit avoir compris que peut être bientôt toute la problématique va changer de registre, en effet c’est peut être la justice criminelle, qui va se substituer à la justice civile, telle que cela est clairement stipulé dans les motivations du jugement de Nanterre. Il semblerait que les réglementations issues de l’OMS et de son prévaricateur patenté Repacholi commencent aussi à s’éventer et que tout le système mis en place pour blanchir les normes des industriels se fissure face aux évidences. Ces propositions de l’OMS qui servent toujours de base de référence d’extériorisations aux politiques et aux opérateurs ne risquent-elles pas de leur revenir en pleine figure comme un boomerang ? A vouloir tout verrouiller de façon éhontée, ce qui n’honore pas l’OMS et à vouloir tout nier, forcément comme toujours face aux évidences la vérité finie toujours par triompher. C’est donc le Premier Ministre qui en urgence devient le "pompier de service" pour répondre aux inquiétudes de la population sur les risques des antennes relais, en signant une lettre de mission adressée au Ministre de la Santé afin d’organiser le plus tôt possible un "débat-citoyen". Néanmoins il en fixe d’entrée les limites en ces termes : "faire la distinction entre téléphones portables et antennes relais." En encore plus explicitement le Premier Ministre rajoute concernant plus précisément l’impact sanitaire d’une exposition aux irradiations des antennes relais: "l'hypothèse d'un risque pour la santé pour les populations vivant à proximité des antennes-relais de téléphonie mobile ne peut être retenue" en l'état actuel des connaissances et "compte tenu des faibles niveaux d'exposition autour des ces installations". Le Premier Ministre rajoute: "l'approche de précaution paraît justifiée" concernant l'utilisation des téléphones mobiles,"bien que "les expertises disponibles ne permettent pas de conclure sur le lien éventuel entre utilisation de téléphone mobile et un risque de cancer". En conséquence on ne voit pas comment ce débat-citoyen peut "traiter tous les sujets sans détours" comme annoncé avec des marges de manœuvre aussi restreinte pour les Ministres concernés, Mmes Roselyne Bachelot-Narquint, Chantale Jouanno et Nathalie Kosciusko-Morizet. and numerous cases against the phone operators have been brought to court. 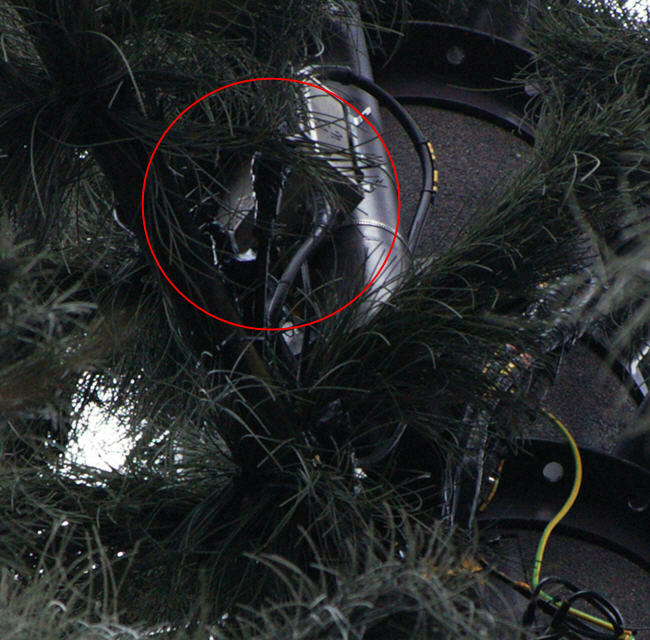 For the first time a serious act of sabotage has been committed on a Bouygues Telecom base station. Bouygues Telecom "ne manque pas de souffle"
Grenelle: NKM pose problème ! "Tous les matins la première chose que nous faisons chez Bouygues c’est lire la Next-up news du jour". non pas comme le pensent certains pour réduire l’irradiation artificielle micro-ondes de la population, mais plutôt comment s’y prendre pour pouvoir irradier encore plus la population. En effet, Nathalie Kosciusko-Morizet (NKM) a récemment été nommée Secrétaire d'Etat chargée du développement de l'économie numérique, en remplacement d’Eric Besson qui n’avait "pas le bon profil" pour traiter la controverse qui se généralise face aux besoins croissants de puissance en rayonnements qu'exige notamment la Visiophonie. Les termes Téléphone Mobile employés par NKM ne correspondent pas à la réalité, car nous sommes dans une démarche d’offre commerciale privée de Visiophonie Mobile (VM) appelée aussi Télévision Mobile Portable (TMP) de type UMTS 3G, 3,5G, 4G, ce qui est totalement différent. De surcroît le besoin de puissance énergétique en pollution environnementale de type HyperFréquences artificielles micro-ondes est augmenté de façon phénoménale !. NKM pose problème : Comprendre les bases du pourquoi ! NKM déclare envisager comme une des pistes possibles la mutualisation des antennes relais, c'est à dire le regroupement sur les mêmes antennes relais de plusieurs opérateurs. La finalité étant de "masquer visuellement" à la population l'augmentation de capacité de puissance (fréq.) et du nombre de nouvelles antennes relais notamment avec l'arrivée du 4ème opérateur. En conséquence, dans ces conditions il est évident que la situation sanitaire ne va qu'empirer. 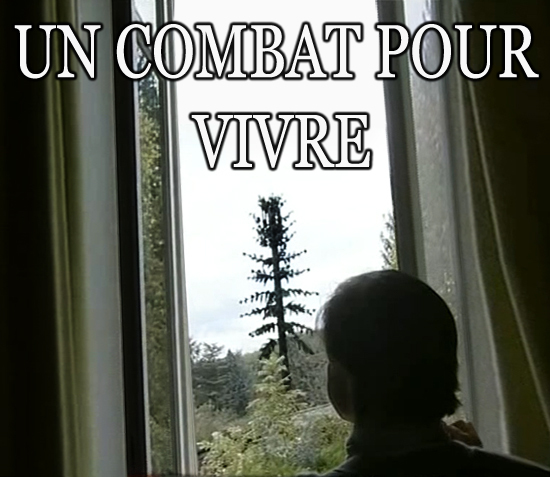 Ce n’est donc pas un Grenelle sur les antennes relais qu’il est impérieux d’organiser avec des personnes dont l’unique but est de mettre en œuvre une stratégie de business afin de savoir comment il est possible d’augmenter encore l’irradiation de la population, mais un Grenelle de personnes responsables axé sur comment rendre compatible cette technologie avec la santé humaine et l’environnement. Actuellement si avec une telle approche de la problématique NKM pose problème, en sus par expériences et analyse de son action passée, nous pouvons dire que face au scénario de catastrophe sanitaire inégalée en cours, ses actions antérieures et ses belles paroles sans lendemain ne suffisent plus. Le Grenelle de la Téléphonie Mobile n'y changera rien, de plus il y a de fortes probabilités que NKM et tous les protagonistes soient bientôt confrontés à la réalité non pas de jugements de la Justice civile, mais criminelle. Grâce aux dons collectés, nous allons bientôt engager des procédures sur des faits précis SANITAIRES afin de connaître la vérité. Souhaitons que se concrétise le plutôt possible cet "électro-choc salutaire". Un Ministre est dépositaire d’une charge qui l’oblige. S'est-il déjà posé un jour la question de savoir (par expertise indépendante !) 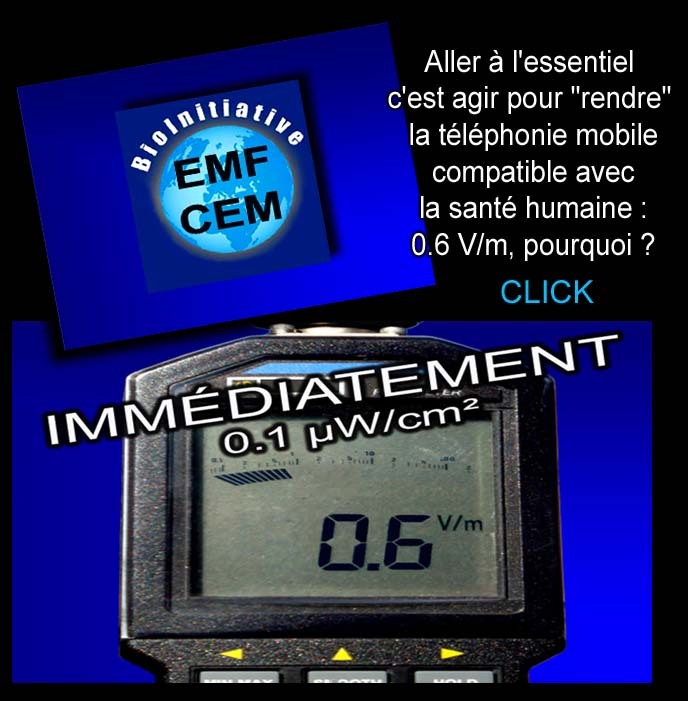 si une irradiation pérenne de 10 000 000 µW/m² en fréquence micro-ondes Visiophonie UMTS (3G), les fameux 61V/m opposables du décret 2002-775, était compatible avec la santé humaine ?. Maintenant nous constatons que de plus en plus de personnes deviennent EHS et malheureusement "décrochent". 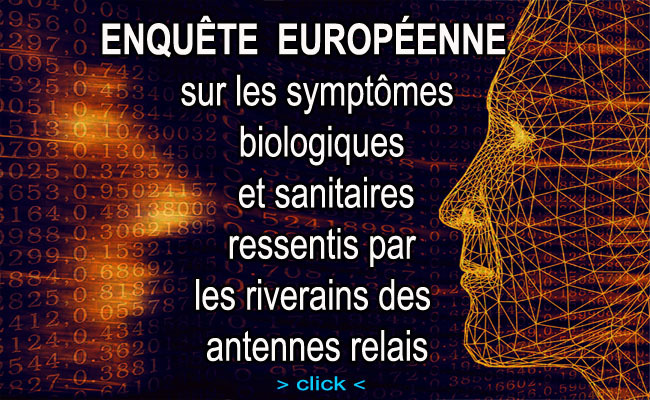 La population commence à découvrir le désastre sanitaire de l'irradiation artificielle micro-ondes et la vérité cachée de cette nouvelle pollution environnementale commence à éclater enfin au grand jour !!. Le droit fil de cette politique, dont la finalité première est la recherche du profit, se retrouve à tous les niveaux décisionnels concernant la Téléphonie Mobile, il n’est donc pas étonnant de constater que rien n’arrête la volonté d’expansion d’un opérateur, fut-il même confronté à un procès, donc à des réalités palpables. Bouygues Telecom a été assigné à un procès au Tribunal de Grande Instance de Nanterre dont l’audience a eu lieu le 4 juin 2008. Le jugement mis en délibéré a été rendu le 18 septembre 2008. Bouygues Telecom ayant fait appel du jugement l’audience d'appel a eu lieu le 7 janvier 2009 par-devant la Cour d’Appel de Versailles, le jugement mis en délibéré, puis rendu par l’Arrêt N°68 de ladite Cour en date du 4 février 2009. 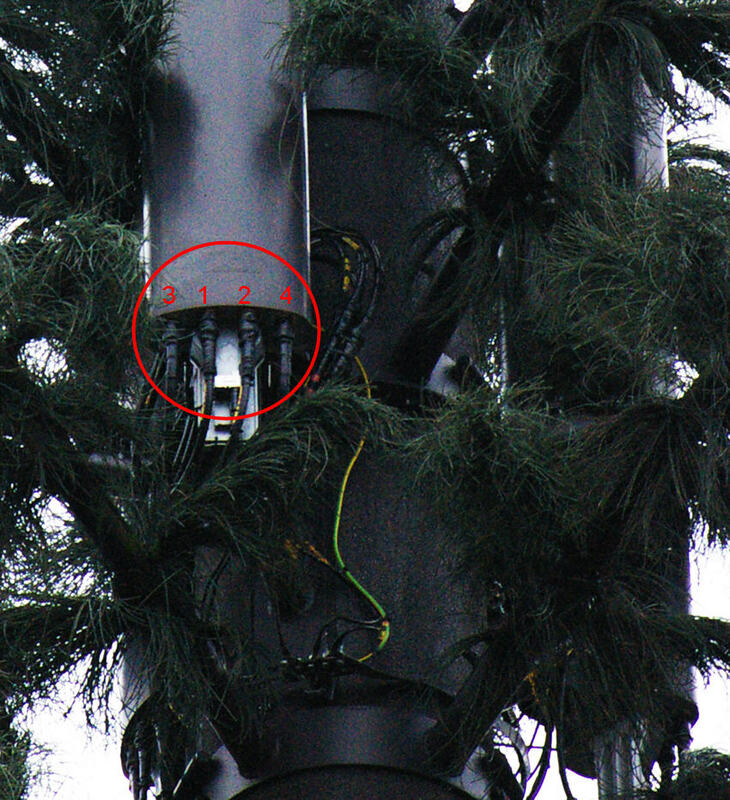 Que constate-t-on in situ pendant cette période concernant la Station de Base (BST) d’antennes relais de Bouygues Telecom entité des dits procès en première instance et en appel ? 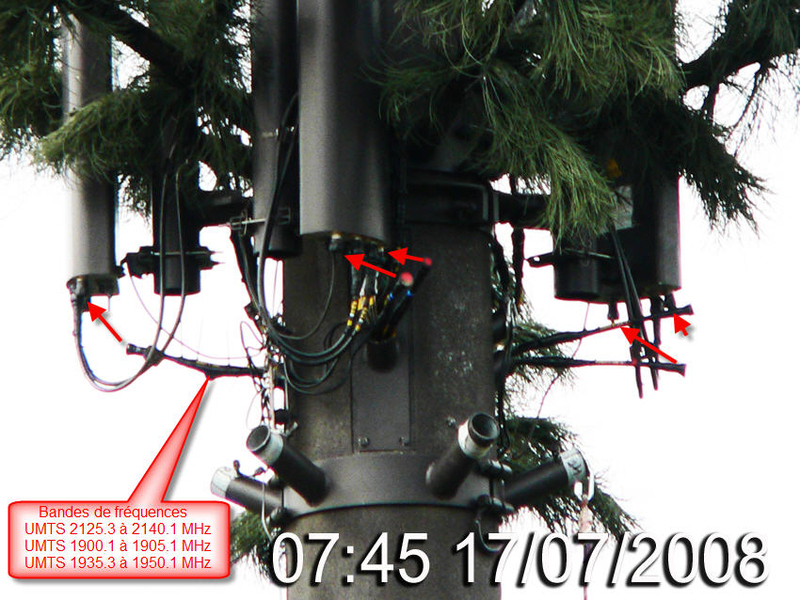 Pendant la période du délibéré du Procès du TGI de Nanterre, plus exactement pendant la deuxième quinzaine de juillet 2008, Bouygues Telecom a procédé à la modification de cette BST d’antennes relais de façon significative en y installant 3 fréquences de type UMTS (3G) qui se rajoutent aux 2 fréquences GSM 900 MHz existantes. Ces travaux ont donc augmenté de façon significative les capacités de puissance opérationnelle de la BST de plus du double. Nous n’avons pas pratiqué de mesure afin de déterminer si les fréquences UMTS avaient été activées. Même si en soi ceci n’a rien d’illégal, puisque Bouygues Telecom avait obtenu l’accord COMSIS le 08/08/2008, il n’en demeure pas moins que par cette action l'opérateur démontre qu'il "ne manque pas de souffle" !! Ces faits sont révélateurs et même s’il n’y a pas eu d’activation de l’UMTS, ce qui reste à prouver, il est légitime de penser que c’est tout de même un manque total de respect pour la procédure de justice en cours pendant la période incriminée (délibéré du jugement), qui démontre que rien n’arrête la volonté du besoin d’imposer encore et encore toujours plus de rayonnements artificiels micro-ondes à la population pour des besoins à finalités commerciales.